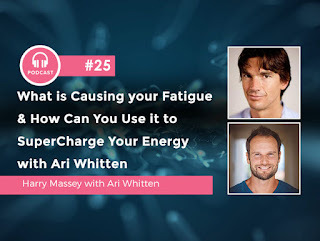 The subject for Ari is what's causing your fatigue and how can you use that to supercharge your energy. He is the founder of https://www.theenergyblueprint.com, he's an expert in using cutting-edge evidence-based science to building maximum energy, overcoming fatigue, as well as achieving permanent weight loss. Now understanding how biology really works includes looking at the cause of fatigue issues and giving ourselves the nourishment they need, and then charging ourselves with source energy. Now the way that we can charge up ourselves is to make some lifestyle changes from optimizing our environment and also a big part of fighting fatigue is being conscious of how ourselves interact and exchange energy with the world around us. Two ways you can significantly top up your sources of energy include giving your body a healthy dose and the right kind of light and movement, and there's a couple of areas that Ari specializes in and there are also topics that we feature in the Supercharged documentary movie and also within our educational membership portal. In this podcast you're going to learn how to get to grips with what's causing your fatigue and what will enhance your energy, and you'll also find out some simple healthy lifestyle tips and strategies that are based on solid science that you can incorporate into your daily routine straight away. Ari really, really is an expert in the science of stepping up your game. To kick off I began by asking Ari to define what energy is from his perspective, and why he decided to make it his mission to alleviate fatigue and help people get their energy back. Ari Whitten: Well, energy is an interesting area right now because we have an epidemic of fatigue that's going on, just millions of people are suffering from fatigue. It's now become the most common complaint of people going to their doctor, is that they're suffering from chronic low level or severe fatigue, and most doctors simply don't have a good answer for it. What I wanted to do was create a comprehensive science-based blueprint for what are the causes of fatigue and how can we fix it. It's not about fixing it through prescription drugs or surgery, which are the main tools of most conventional MDs. It's about fixing it through lifestyle and nutrition interventions. Energy is kind of a nebulous word and so many people use it differently than other people. 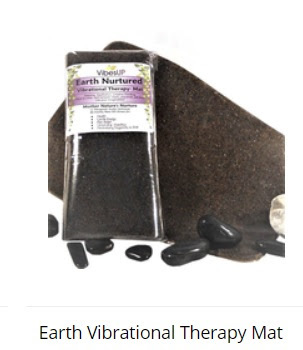 It can be used for everything from spiritual pursuits and spiritual energy in a very kind of new agey woo-woo sense, to bioenergetics, to energy in a pure calorie sense. For me, what it means is having that vitality, that pizzazz, that feeling of aliveness in your body that you live with passion and aliveness because your body is filled with energy. For me that's, when I talk about energy that's what I'm really focused on, is that physical feeling of vitality and aliveness. Harry: Ari, what is the connection between energy and actually being healthy and getting that feeling of vitality and aliveness? body are not producing enough energy, it translates into the poor function of everything, everything's at a deficit for energy, and as a result your overall feeling that you have as a human being of what it feels like to not have enough energy in the cells of all your different organ systems is that you will feel the symptom of fatigue, you'll feel a lack of aliveness, you'll feel almost more dead, like you're not there to experience everything that there is to experience in the world. Fatigue for me is kind of like a life killer. It prevents you from engaging in your life in the way that you could if you actually had enough energy. Harry: I know too well what Ari is talking about when he says fatigue is a lifetime killer. Now chronic fatigue stole my energy and almost seven years of my life and where I ended bedridden. I tried a lot of different therapies before I realized what works and I found that cracking the code of energy really is about a whole wide range of interventions and a big part of fighting fatigue is being conscious how ourselves interact and exchange energy with the world around us. To charge up our cells we need to make conscious lifestyle changes that optimize our environment and specifically, this means you need to take action steps that will take care of and charge the mitochondria which are mighty little generators of energy inside our cells. As Ari has discovered, new scientific research shows why maintaining the mitochondria is even more important than previously thought. mitochondria that even people who know lots about the mitochondria really are unaware of. The second role of the mitochondria is cellular defense, which sounds kind of weird like why would it matter that the mitochondria are involved in cellular defense. Well, it turns out that the mitochondria are kind of at the hub of the wheel of our metabolism. They're controlling what happens in the cell in response to the kind of signals they're getting from the environment. This researcher at UCSD has discovered something that he's termed the cell danger response. Basically what this is, is the mitochondria are sensing what kind of signals they're getting from the environment, and depending on whether they're getting safety signals or whether they're getting "danger signals" of various kind of threats, whether biological threats, chemical threats, physical threats, any type of perceived danger or threat or stressor, they now shift their metabolic machinery and the cell's metabolic machinery towards something he's called defense mode which is basically mitochondria are shifting the cell to turn off energy production and shift into a mode of engaging that is designed to protect the cell and the host, us, from harm. A lot of this really hinges upon the mitochondria, and this is really a whole new field and a whole new understanding, a new paradigm of health and what creates energy and what creates fatigue, and it really hinges on the kind of signals from the environment that the mitochondria are sensing. Harry: Now one of the signals we can be sending to ourselves, a lot of the time, is stress hormones. And if we're under a lot of stress, our bodies end up favouring the response, to fight for our survival, rather than expending energy or other bodily functions such as digestion. Ari, is there a similar mechanism at play here? Ari: Yeah, it's related to it. And part of what goes on at the cellular level is this, the changes in cellular function in response to certain kinds of threats and danger. What you're talking about is the autonomic nervous system, so the parasympathetic and sympathetic nervous system, and it's kind of like a bigger picture layer of what's going on when something's in chronic stress mode. There are things that are occurring on the cellular level, at the mitochondrial level, the cellular level, the organ system level, the nervous system level, and so on. One of the things we know about people with chronic fatigue, for example, is they have a sympathetic nervous system dominance and an underactive or relatively underactive parasympathetic nervous system. I'd say it's kind of just looking at the same basic phenomenon, just on a different layer of physiology. Harry: You may already know that food turns into ATP and also that it turns into electrons for energy. But the interesting point that was covered in the Supercharged film is that food, sugars, and fats aren't the only source of energy fueling the mitochondria. Ari gives one of the best explanations I've heard about why this is the case and how there are other sources such as light that serve as a powerful energy source too. Ari: We all kind of know that food and especially carbs and fats get turned into something called ATP, adenosine triphosphate by our cells and specifically our mitochondria. They take in byproducts of fatty acids and carbohydrates and translate that into ATP, energy for the cell. That's the main mechanism that everyone talks about as far as energy production. Now it's turning out that there's some emerging lines of evidence that are showing that our cells' ability to produce energy is affected by a number of different things, not just how much carbs and how much fat we pour into the system. We all know this intuitively. You don't get energy in proportion to how much fat and how much carbs you consume. In fact, you can actually get the opposite. If you consume lots and lots of carbs and lots of fat, you may actually feel fatigue. We get a food coma. We get this reaction of actually wanting to go to sleep. There isn't a direct correlation like one might logically kind of conclude, if carbs and fats are what are creating energy, then you might kind of just simplistically and logically conclude that adding more carbs and fats to the system should give you more energy. In fact, it doesn't work like that. There are all these other layers of complexity to the story. One of those is light. If we think about the concept of light exposure and electromagnetic radiation, in terms of our ancestors, we can look at certain factors. The biggest one is that our ancestors lived outdoor lives. They weren't stuck inside of insulated buildings with artificial lighting, fluorescent and LED lighting all the time, and they didn't stare at electronic screens every night, and their major light sources weren't the fluorescent light bulbs overhead and the TV screens and the computer screens next to them. They were outdoors in the light of nature, under the sun for hours and hours and hours every day. And the intensity of the sun is hundreds of times greater in terms of light intensity compared indoor lighting. That's one factor. They're in that light, and not just all these different wavelengths of light, so the blue light affecting our circadian rhythm, the red and near-infrared light, the far-infrared light, the UV light, all of these different types of wavelengths that are affecting different systems of the body. Then in the evening, after the sun went down, they built fires and then they sat around a firelight, which was emitting lots of far-infrared in the form of heat which has certain physiological effects, as well as red and near-infrared. They're bathing in these photons of electromagnetic radiation that are having all of these physiological effects. The overall amount of these things was hundreds of times greater than what modern humans are getting. We're missing out on those hours in the sun every day, we're missing out on the hours next to a fire every day, bathing in the red and the near-infrared and the far-infrared. We're missing out on the effects of light on our physiology and we're paying a huge price for it. It turns out that light is actually composed of a number of different wavelengths. There are five different wavelengths of light that are bioactive in us that affect human physiology in various ways, and there are many different mechanisms and many layers to the story, but just to give you kind of a brief overview, some of these wavelengths of light are UV, and there are different types of UV, UVA, UVB and so on. We also have visible light so things like blue and red light which have various effects on various physiological systems of the body. For example, blue light goes through our eyes and feeds back into a part of the brain called the suprachiasmatic nucleus which controls the circadian clock, the 24-hour rhythm, biological clock in our brain that tells us when to be awake and alert and active and energetic and when to go to sleep. That's why we get tired and sleepy at night and why we wake up in the morning. It has a huge impact on our energy levels. We also have things like red light and near-infrared light, and these have other effects which we can get into a moment on cellular function. Then there's things like far-infrared light as well which we feel as heat like if we go into a far-infrared sauna or you go in the sun and you feel the rays of the sun heating up your body. Well, that far-infrared energy has a number of other physiological mechanisms on our cells. It impacts circulation in our body. It can trigger certain reactions in our cells. It can affect the water viscosity inside of our cells. All of these things have subtle mechanisms that translate into how healthy we are, how energetic we are, and in terms of red and near-infrared light it's actually been shown, and there are numerous studies on this, that photons from red and near-infrared light can actually travel directly into our cells, can actually penetrate through our skin and go deeper inside of our body, and interact directly in the mitochondria, the energy generators of our cells, through a specific spot in the mitochondria called cytochrome c oxidase which it acts as a photoreceptor and takes those photons, and by doing this it can actually trigger the production of energy by the mitochondria. It's not just a matter of, again not just a matter of how much carbs and fats you pour into the system. But there's lots and lots of layers of things which are impacting our energy production. Just one other aspect of this, of how infrared energies and near-infrared and red energies can impact our cells, there's also research showing that it can impact the viscosity of water inside of our cells, and this has actually been shown to affect the rotation of the ATP synthase pump on the mitochondria, which is the last step of the mitochondria that they need to produce ATP cellular energy. So by altering the viscosity of the water in the cell, you can actually make it easier for your mitochondria to actually produce more energy. Harry: So when we're looking at how to maximize the energy produced by mitochondria, I wanted to know how does that relate to movement because movement is another way of giving ourselves a big surge of energy. What kind of damage can be done to our cells from a lack of movement? And on the other end of the spectrum, why can overdoing exercise also be detrimental to us too? How do we strike the right balance? Ari expertly explains. Ari: Movement is an integral piece of our energy levels. There are kind of two sides to this equation because as any elite athlete will tell you, if you do too much physical activity you can actually burn yourself out and create fatigue. It's a phenomenon we call overtraining. Most elite athletes will have experienced that. We know this is pretty well established in the scientific literature that when you overtrain and when you do too much, too frequent, too intense physical activity, you can actually kind of wipe yourself out and exhaust yourself and even with lots of sleep you'll still feel pretty exhausted. There's even research to show directly how overtraining lowers mitochondrial energy production. And even research that has shown that it can cut it by close to half as a temporary state, that you can dramatically reduce the amount of energy being produced by the mitochondria in your cells. Now that's not the problem that most of us have. It's not overtraining. It's actually under training and under movement in particular. Now, this creates a different set of problems for the mitochondria. Basically, the way that this works is in order for our mitochondria to operate well, there are certain steps in the chain of how the mitochondria actually produce ATP cellular energy. At each step in this process, they send a hydrogen ion, a proton, across one membrane of the mitochondria into what's called the intermembrane space. As this process happens, these hydrogen ions build up in the intermembrane space. Now, in order for this process to happen on an ongoing basis, there has to be some kind of burning up of energy. Now, what happens when you're sitting for very long periods of time and you're sedentary, you're not moving your body, is that you're not burning up enough of the ATP that's being produced and so there's kind of a block in the machinery that takes place. It starts to kind of get clogged up as you don't allow these things to burn off and keep things flowing through the machine. What happens when that's going on is sparks start to get flung off from this machinery in the mitochondria, so electrons are being passed in the mitochondria as part of this electron transport chain to produce energy. Now, when somebody's sedentary too much it translates into some of these electrons kind of ... Because the machine's getting clogged, some of these electrons kind of get just flung off and released and in the process, they actually damage the membranes of the mitochondria and can become free radicals and things like that. Basically, being sedentary translates into direct damage of your mitochondria which is directly damaging and hindering your body's ability to produce energy. Harry: Now a big takeaway there, think about the damage done to your body by not moving, such as creating free radicals in your system. Why are free radicals a problem? Well, because they are toxic byproducts of oxygen metabolism and can damage your cells in a process called oxidative stress. That, in turn, hinders the body's ability to detoxify and such an imbalance leads to damaging proteins, molecules and genes within your body. Free radicals can kick off a whole chain reaction like dominoes, so the key here is to get moving in whatever way you can. I asked Ari to explain in more detail why movement is so very important and why he considers movement as a nutrient for your body. and so on, and we flush out waste products that are located in different parts of the body and different parts of the cell. We get our lymph system moving to flush lymph fluid back through our body so that our immune system can process that. All of these different layers of activation are happening as we move our bodies. Movement is very much a nutrient in the same way that oxygen and food and water are nutrients. It's a required nutrient for life and when we don't move our bodies we suffer the same sort of consequences that we suffer when we don't put good nourishment into your body, you don't put pure water into your body and you don't breathe clean air. Harry: But what if you suffer from severe fatigue issues and are debilitated? Having personally been bedridden with chronic fatigue syndrome, I was pretty frightened about exercise. When I was at my worst it could take me three steps backwards, so I went on to ask Ari: What do you tell those people who struggle to even take the first few steps and are afraid of relapse? What advice do you have for people with this mysterious and often misunderstood condition? Ari: Great question. The answer is that both need to introduce more movement into their life, but there needs to be a difference in terms of the dose and the frequency and the intensity and the cautiousness by which one implements that physical activity. To make it more simple and practical, basically if we're talking about just a sedentary person who is not chronically fatigued, you can tell them to go start an exercise regimen and not really worry too much about anything happening. They might be a little tired or sore afterwards, but they're not going to be debilitated from it. Now on the other hand, somebody with chronic fatigue has to be very, very careful and cautious with how they implement physical activity. The basic rule of thumb is that you should be very cautious in overdoing anything beyond either your norm or what you know your body is capable of handling, both in terms of intensity, in terms of duration, in terms of frequency of movement, all of those factors. In other words, they need to be very careful in doing only something for a very short duration at a very low intensity, just very gentle movement, and then once they've done that it might be ... For somebody really debilitated it might be just getting up and walking 10 feet or 20 feet and that might be where they need to start, or just getting up and down from the couch a few times, from a seated position to a standing position. That might be enough for somebody who is debilitated. Once they've done that they need to assess their body's reaction, how are they later that day, how are they the next day. Once you've got a baseline for what your body can tolerate, now you can start to gradually progress very slightly beyond what you were capable of a few days prior to that and you push just very, very slightly beyond and then you give your body adequate time to recover and rejuvenate and regenerate itself after that brief stressor. That's the basic principle that one needs to engage in is this very measured and precise engagement of this at first gentle physical activity, gauge your response to it and then give your body lots of time to regenerate and then do another gentle nudge to push very slightly beyond that. In the process of doing that, you're slowly building up your body's capacity to do a more physical activity. But this is not a matter of just jumping in to high-intensity interval training and doing lots of intense exercises, it's a matter of starting with very simple, very light, gentle movement and slowly building up your body's capacity to tolerate more and more movement. Within the chronic fatigue community, there's a big fear around physical activity and exercise and for good reason. It's because this stuff actually can be very counterproductive. If you overdo it with physical activity you can exhaust yourself. You can wipe yourself out. You can be fried for days and bedridden for days as a result of just a very brief overdoing it of physical activity. that it is a big problem to overdo physical activity. On the other side of the equation, it's also a big problem to always be sedentary and to not engage in any physical activity. Where we want to be is in this middle ground of very brief, very gentle little bits of physical activity to get your body moving and get your mitochondria stimulated and working properly and to start building up your body's capacity to produce energy and tolerate more of that movement without burning out the system, without wiping out the mitochondria, without depleting the ATP supplies in the cells. That point at which you can accomplish that is different for every individual. Somebody who is healthy right now and just has a very mild fatigue can get away with a lot of physical activity and recover from it and not be bedridden for days. Somebody who is totally debilitated with the worst chronic fatigue syndrome imaginable might barely be able to take a few steps without feeling wiped out from it. Finding that point where you as an individual are as far as how much physical activity you can tolerate, what is your baseline? That's what you want to find out, and then from that baseline, you want to err on the side of caution, so do much less than your body can tolerate. That's where you start and then from there after you do that give your body a big break, give it all the things it needs to regenerate and rest properly and then a day or two or three later try just a tiny bit more and then do the same thing over again: Rest, regeneration and then a few days later a tiny bit more. That's how you dig yourself out of that hole is you keep moving in that direction where you're very systematically, very incrementally and very cautiously getting your body moving again in a way that you're not overdoing it and you're not just afraid to do any movement because you're afraid that you're going to do something that makes you bedridden and exhausted for days. Harry: Okay. For those without a chronic illness, perhaps you're someone who is relatively healthy but is just feeling fatigued all the time, but you'd like more get up and go, to have more energy. What is the latest advice on which is the best form of exercise for you? To have more energy, is it about doing a lot of long walks and things like that or is it about the more weight-based or short intensive- type training? Which is the best path for putting our best foot forward? Ari: In terms of the actual science around movement and energy levels, overall the evidence supports gentler forms of movement for actually translating into how you feel in terms of your energy levels later that day. Gentler forms of movement like walking or yoga, qigong, things like that. Any type of gentle, long duration, endurance exercise. Any of that type of exercise tends to translate into better energy levels in the immediate aftermath of doing that physical activity. Whereas really intense forms of high-intensity interval training, and sprinting, and intense weight lifting types of exercises, can often translate into you feeling less energetic in the immediate aftermath of that physical activity. a degradation of the mitochondria in your cells, and a loss of their capacity to produce energy and power physical movement. So the more that you make the decision to not engage in that physical movement, the more your body loses the capacity to engage in it. And the more often you'll find yourself in that position of, I don't have the energy to go for walk, or go for a run, or do this workout. And we lose that capacity very quick. Just in the matter of a few weeks, we can lose a lot of that capacity of our cells to actually handle that kind of physical activity. So it's very, very important that we continue to engage in those activities. Even if they're not intense, even if they're not strenuous and you're not driving yourself into the ground, and wearing yourself out. But just maintaining a little bit of gentle movement all the time, is extremely important so that our cells continue to have that capacity to engage in that. Harry: So what's the best way to get motivated to exercise, and follow through on our goals? Harry: So if you still need a bit of an extra nudge or a big kick start, well then a little more science might give you the motivation you need. There is a biological process that absolutely fascinates me, and it's called hormesis. Now I talked about why some stress on the body can actually be a good thing and help us generate more energy, and become healthier. It relates to the famous quote by Friedrich Nietzsche., "What doesn't kill you, makes you stronger." So what exactly is hormesis? How does it work, and when can it be a good thing to push ourselves? Ari: Hormesis is basically a transient metabiotic stressor that stimulates your body to grow stronger and become more resilient, and become healthier, and more energetic. Now if that sounds like an abstract idea, we're all actually more familiar with this concept than we realize. And we've all heard Nietzsche. say, "what doesn't kill you makes you stronger." So we all know that. You go through challenges in life, whether life challenges, or whether just brief experiences that made you uncomfortable in some way; psychologically uncomfortable, or physically uncomfortable, and you become tougher as a result, you become more resilient. And that's what hormesis is. Now we also know of exercise, and everybody knows about the benefits of physical exercise and if you look at the science, you know it translates into decreased risk of cardiovascular disease, and Alzheimer's, and dementia, and diabetes and so on. I mean almost you name the disease, and you can find research showing that exercise helps prevent or treat that disease in some way. Now, the reason that exercise works, and this is very important, it's not because exercise is intrinsically healthful, and somehow the more you do of it, the healthier you become. Exercise is actually a metabolic stressor. It is a stressful thing for body, and by putting the body in that situation where you're creating this metabolic stress on it, as long as it's done in the appropriate dose, and then you give your body the chance to rest, and recover, and regenerate afterwards, you will stimulate your body to make certain adaptations that actually make it grow stronger and more resilient. And that is fundamentally why exercise confers benefits, and why we have all these thousands of studies showing that it benefits this disease and that disease and overall longevity, it makes you live longer, it makes you more energetic and so on. It's because it's a stressor, and that's what most people need to understand is that you're not doing something that's just good for you quote unquote. And this is a fundamentally different thing than let's say drinking water, or eating nutritious food, or getting sleep or meditation or something like that. These are more like restful, and regenerative, and nutritive types of activities. Exercise and other types of hormesis, are stressors. And the way they confer a benefit, is by stressing the system so that it stimulates the body to create adaptations that ultimately confer benefits. So it's a different paradigm and a different way of understanding things. You can get healthier by subjecting yourself to something that is quote unquote a bad thing, as long as that bad thing is in the appropriate, you will actually stimulate your body to grow stronger. And those that it makes depend on the type of hormesis that you expose it to. So for example, even depending on the type of exercise. So certain types of exercise may work to create more muscle growth, for example, other types of exercise may work to create more capillarization, or blood vessel growth to deliver more oxygen and nutrients to the cells. They may also stimulate the growth of your mitochondria, your cellular energy generator, so they grow bigger and stronger, and you actually get more of them so your cells can produce more energy. Other types of hermetic stressors create other types of adaptations which confer various types of benefits. There are various types of metabolic stressors, of hormesis. We've talked about exercise, obviously that'sone type that most people are familiar with. And there are actually several other types beyond exercise. There are close to a dozen different types of hormesis. A couple of them are temperature hormesis. So cold exposure and heat exposure. So things like going into cold water, or cold air, or into a sauna, or being outdoors on a really hot day and sweating. These are other types of hormesis, that actually trigger a lot of the same molecular pathways as exercise. health, energy and resiliency in life. Harry: So Ari talks about carb restriction in his best selling online course, and mentions if people are suffering from being overweight, their better off ironically, on fatty diets. And I they're very slim, or athletic builds, they're better of on a carb diet. Which seems to go against the grain. So I wanted to know, is there an hormesis connection there? stories of people who have gone on extremely low carb diets and have been on them ... Maybe they felt great at first, but after several months, or maybe several years, they start to notice all sorts of side effects. And this is really the same mechanism at play. Is that we need to understand that these things can be very powerful, very beneficial strategies to boost our overall health, and vitality, but if you do too much of them chronically, then they can actually translate into negative effects and side effects. Harry: One of the other key strategies for a supercharged life and overall health, and vitality is having a positive sense of purpose, something Ari clearly possesses. So I asked him, how does having a strong purpose give you energy? Please keep in mind that this podcast is not intended to diagnose or treat any disease or health condition, and is not a substitute for professional, medical advice. Please seek a medical practitioner before engaging in anything that we suggest today on the show.